After a 1-0 loss away to Ayr on Tuesday, a grudge match away to Alloa was on the cards. With both teams tied on 35 points (although Queens were ahead thanks to significantly better goal-difference) it really was a relegation six-pointer. 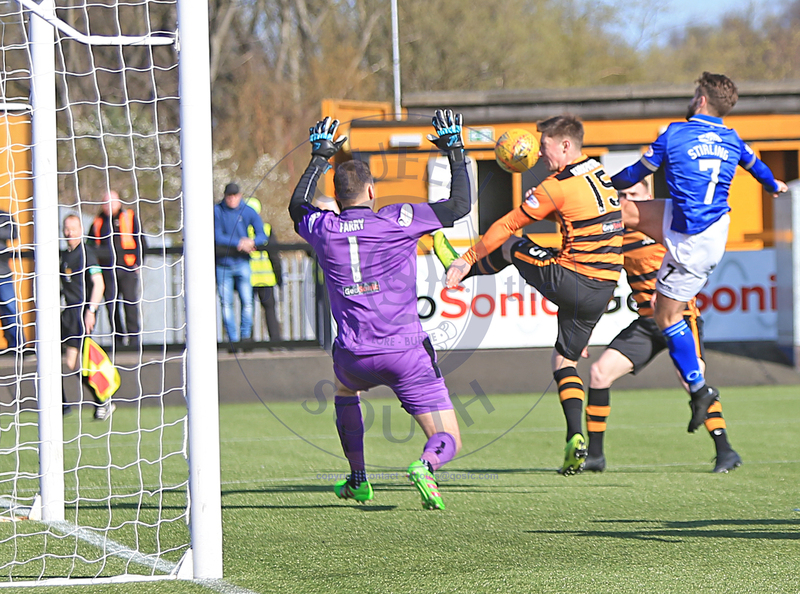 Unfortunately for the Doonhamers, a somewhat lucky Alloa goal handed the Wasps all three-points. One change from Somerset Park saw Stephen Dobbie drop out through injury, with Darren Brownlie taking his place. A formation change to a 3-5-2 from Gary Naysmith meant Lyndon Dykes and Andy Stirling were tasked with leading the line in Dobs? absence. Brownlie was in the centre of the back-three, with Mikey Doyle to his right and Barry Maguire to his left. The game struggled to get going in the opening 15 minutes, but after that it was real end-to-end football. Alloa had the games first chance. A header across the box looked to be nestling in the corner, however in his attempts to force the ball in, Dario Zanatta ended up putting the ball over the bar. Just a matter of minutes later, on-loan Celtic youngster Jack Aithcison struck the post with a thunderous low shot, before Alan Trouten?s rebound was well cleared by Scott Mercer. At the other end, Queens began to push for a goal of their own. Dykes and Stirling were working well together, with Iain Wilson and Josh Todd playing just behind them. The quartet of attackers were pressing the Alloa back-line firmly, and when Dykes dispossessed Alan Graham it looked certain to be a goal. However, man-of-the-match Neil Parry more than matches Dykes? low curling effort, blocking well with his legs before collecting the loose ball. Alloa went straight up the other end, and almost scored themselves. A cross into the box from the right evaded the Queens centre-halves and found Trouten, but he couldn?t get his head over the ball and his effort was too high. Not long after, Parry denied Dykes again. This time the Aussie forward spun and had a snapshot well saved, before Mercer?s rebound was tipped wide by the Wasps goalie. The away team were really pushing on, looking to go ahead before half-time. With 3 centre-halves playing, Maguire was able to bomb forward into the opposition?s half. 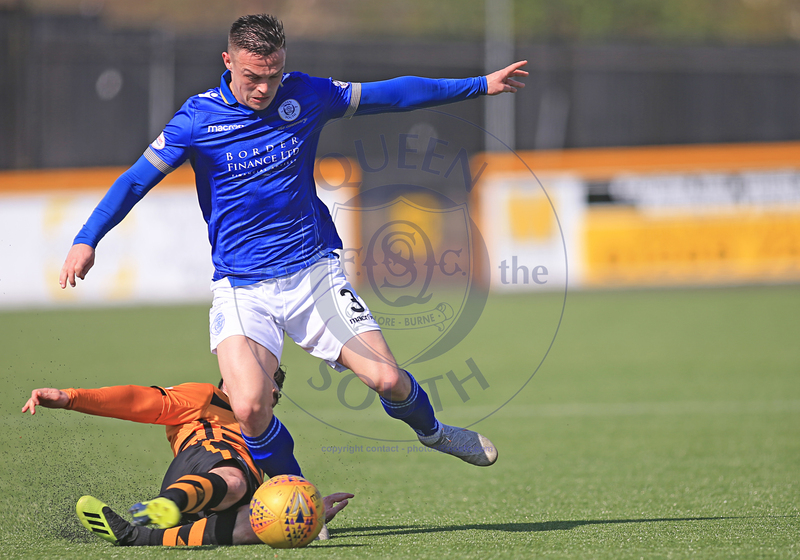 And although he looked creative, nothing was coming off for the young defender, and Queens went in after 45 minutes on level terms. A first-half that saw both sides have real chances to take the lead, but in the end Alloa keeper Neil Parry was the difference. As the teams began the second-half, Queens were asserting their dominance on the game even further. After one minute Jordan Marshall was able to get the better of Jon Robertson, before firing a low effort on target, but again, Parry was their to deny Queens. 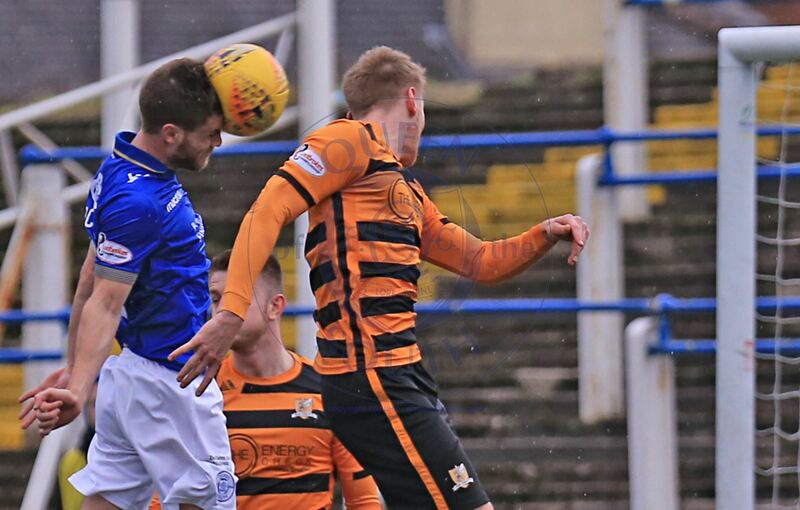 A few corners and dangerous free-kicks came to nothing as the Alloa defence stood firm. At the 60 minute mark, a long cross into box by Robertson found two Alloa players. Luckily for Queens, Zanatta and Trouten looked to have got in each other?s paths, and neither were able to get a shot away. Jim Goodwin didn?t hesitate to change things, replacing Aitchison and Trouten with the towering Jack Hamilton, and Connor Shields. And Hamilton was almost the one to open the scoring. Kevin Cawley came out on top after a 50/50 with Kyle Jacobs, before playing the ball in the path of Hamilton who only had Jack Leighfield to beat. But the young shot-stopper done well to save what was the hosts first shot on target of the day. Both sides were really pushing for a winner, but Queens were still seeing most of the ball. Mercer and Marshall were used a wing-backs, giving each a license to get further forward, which they did at good effect. However neither were able to break the deadlock. On 74 minutes, Alloa did end the stalemate though, thanks to a huge slice of luck. A high Steven Hetherington corner was caught in the wind, and flew into the Queens net past all the bodies, including the helpless Jack Leighfield. It was harsh on Queens, however there was still time to get back into the game. Fraser Aird and Ian McGrath were brought on at the expense of Mercer and Jacobs, but neither were able to effect the game in any great way. 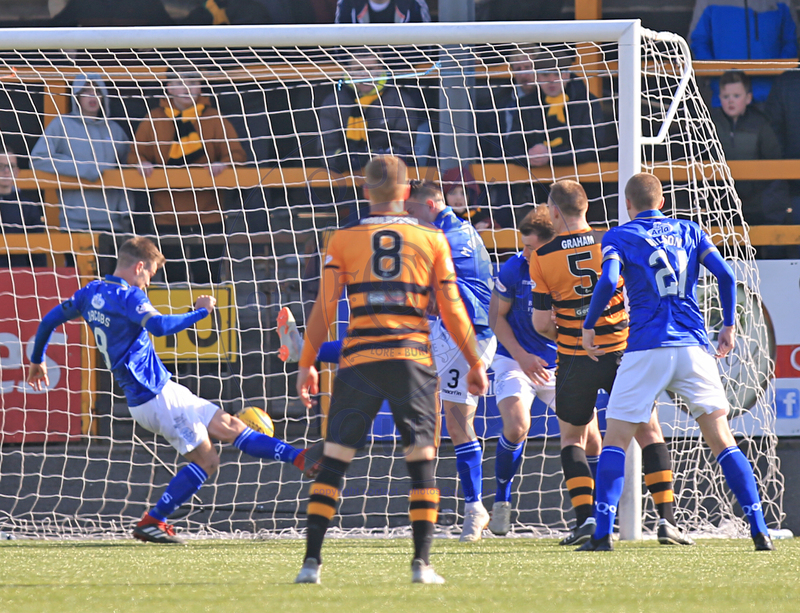 The last 15 minutes belonged to Queens, however they were unable to create any clear-cut chances as Alloa packed the box. Multiple long range efforts were attempted, but they were all blocked or deflected wide for corners. 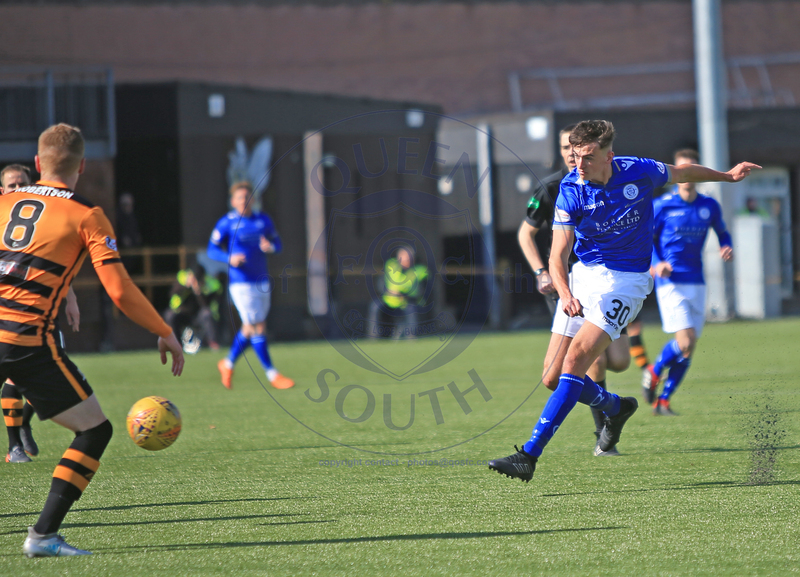 Queens had one last chance to salvage something in injury time, as an Aird cross in was met by Stirling, but he was only able to direct the ball onto the post. Referee Kevin Clancy blew for full-time immediately after this. Both sides had chances, but it sometimes comes down to that little bit of luck that was on Alloa?s side today. Dykes was unlucky to see a few shots not go in the net, as was Andy Stirling at the end. A lot of credit has to go to Neil Parry for an exceptional goal-keeping performance. Queens drop to 8th, level on points with 9th place Falkirk and one ahead of 10th placed Partick Thistle. Thistle have a game in hand however in 10 days against Ayr. Queens host Dunfermline next week with the rest of the bottom four playing each other. Another massive game for Queens, and one that could lift Queens as high as 6th in the table.